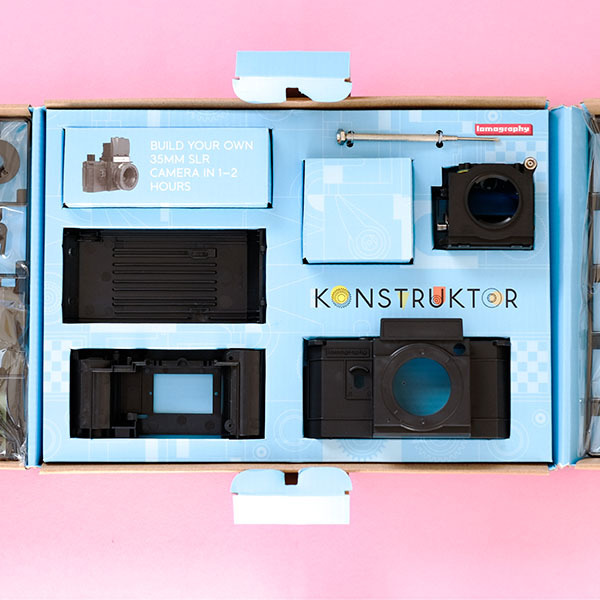 Build your own 35mm plastic SLR camera with the Lomography Konstruktor DIY SLR Kit and learn all about camera mechanics in just a few steps. 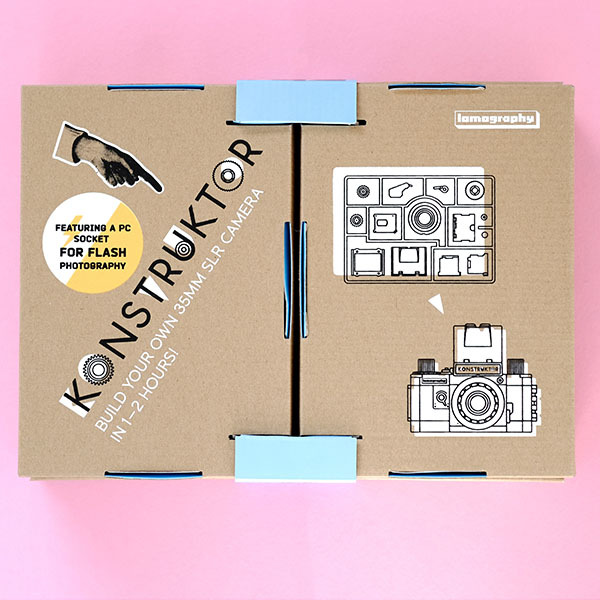 Build your own 35mm plastic SLR camera with the Lomography Konstruktor F DIY SLR Kit. 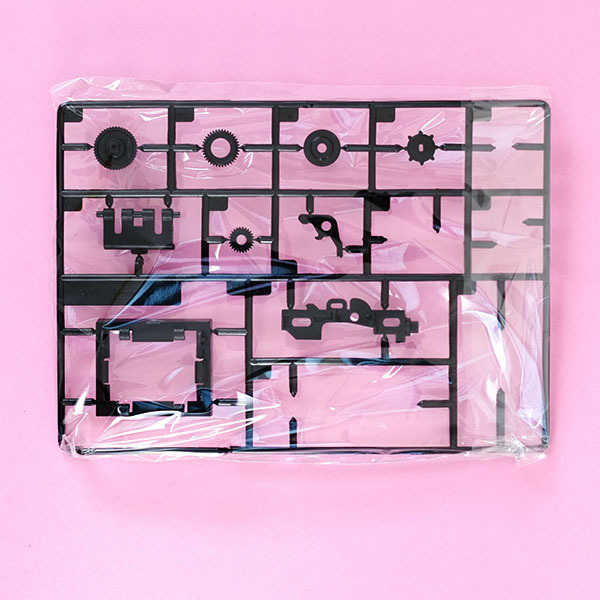 This kit contains everything you need. Learn all about camera mechanics in just a few steps. 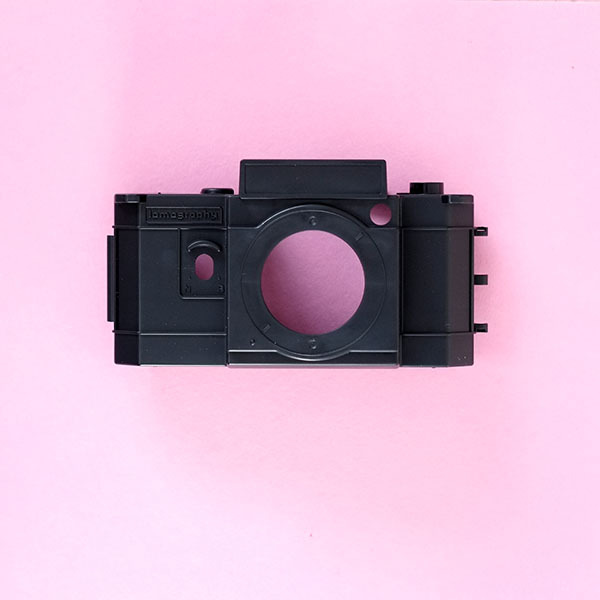 The Lomography Konstruktor F is the world’s first 35mm plastic SLR. It has a detachable 50mm f/10 lens, with a fixed f10 aperture and 1/60th shutter speed. Additional features are a top-down viewfinder, multiple exposure setting, and a bulb setting for long exposures. This is an upgraded version of the Konstruktor. Which is now equipped with a PC socket for flash photography.